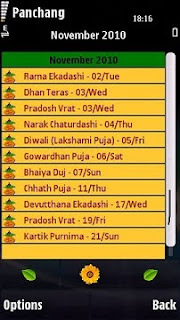 Lab Report: Hindu Calendar : A Vedic Calender for your cellphone. Now Hindu Calendar 2010 is available for most Nokia smartphones including Nokia E-Series and N-Series. It can be downloaded free of cost from Ovi Store during promotional period. Check your device on http://hinducal.blogspot.com/ which also provides direct link for free download from Ovi Store. Indian Astrology or Hindu astrology is undergoing an amazing renaissance now. Not only in India, but also here in the West, new discoveries are being made and much research is being done into the ancient science of light. In fact, one could say that Western, Indian or Hindu astrology is just as alive and vibrant as the Indian astrology coming from the mother land.. 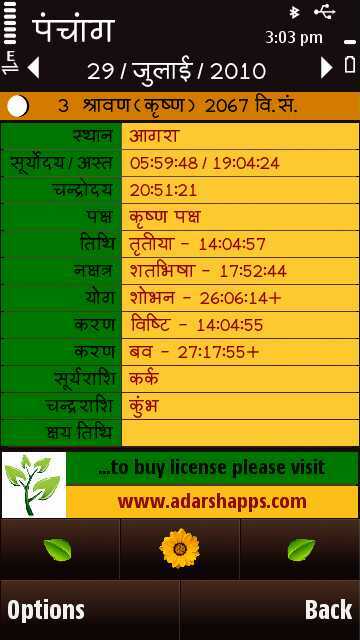 In Western countries, it is called Vedic astrology, which refers to Indian Astrology or Hindu astrology. There is a very exciting information about indian astrology or hindu astrology. It is a great information. I like your way of mentioning date wise calender.We always be attentive in testing the dates of good timing. 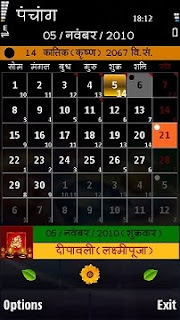 It's a bit unusual to see apps for Indian calendar but if someone creates them then it means that people need it.